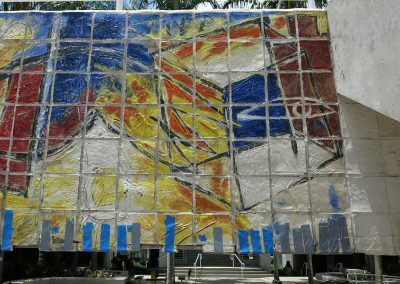 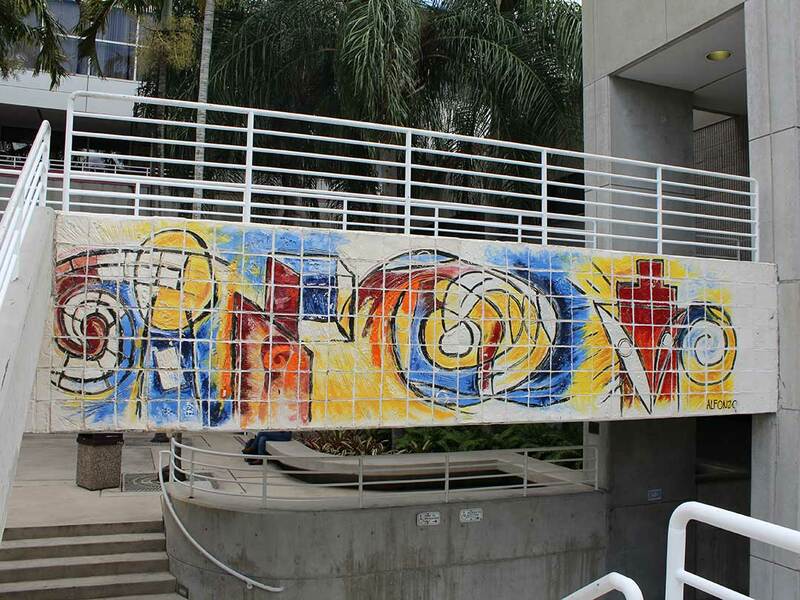 Carlos Alfonso’s ceramic tile mosaic, Brainstorm, 1991, is a site-specific mural by an important, now deceased, Cuban American artist. 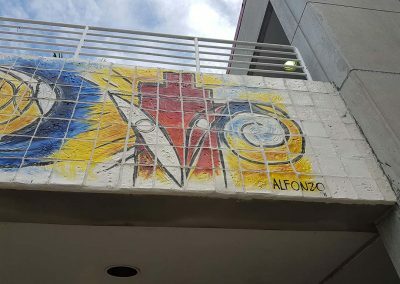 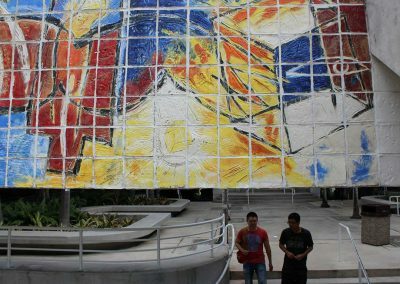 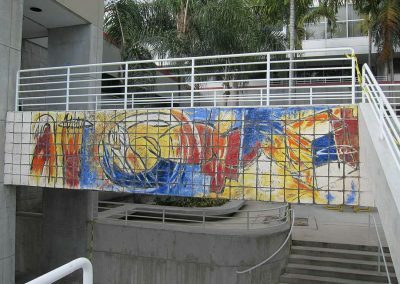 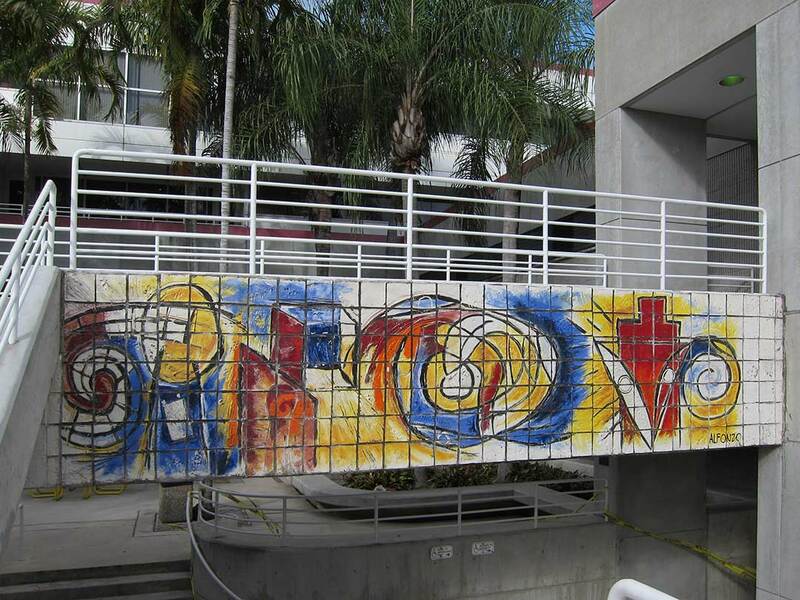 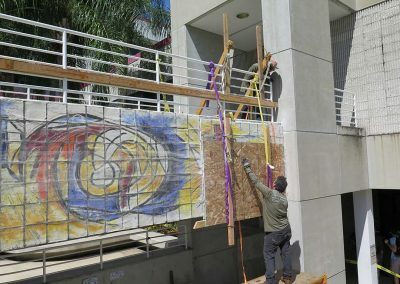 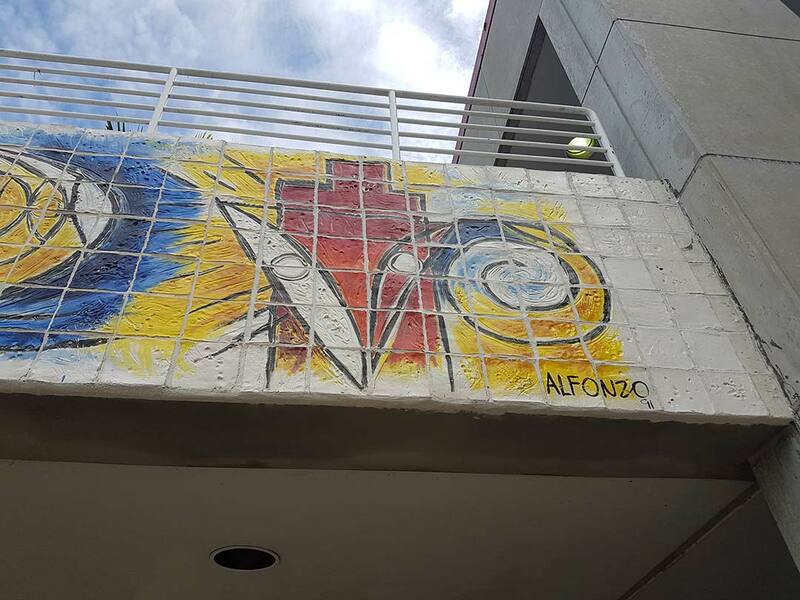 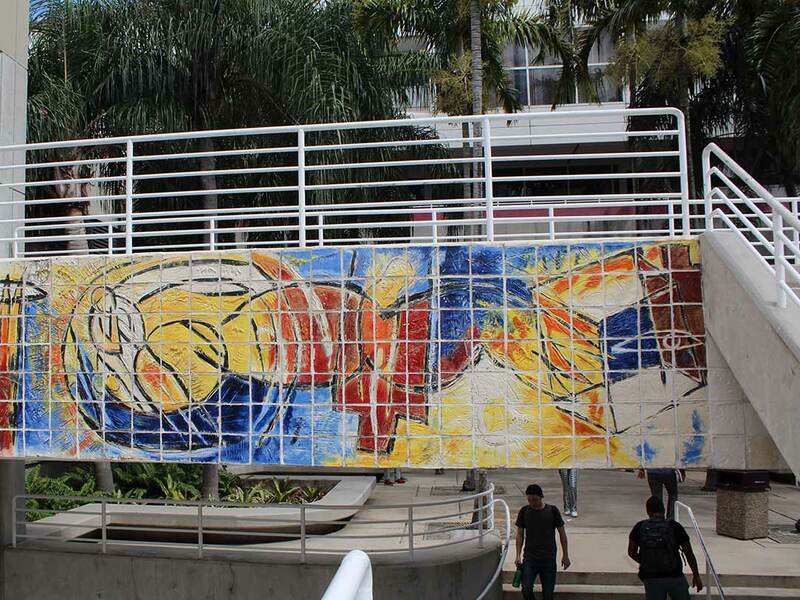 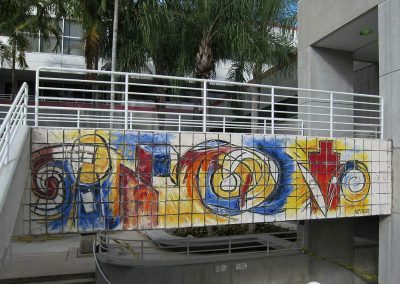 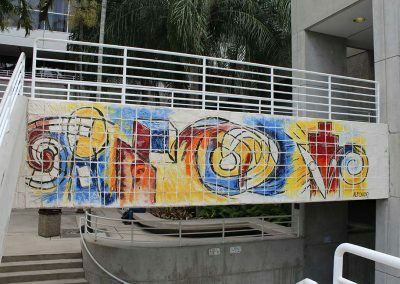 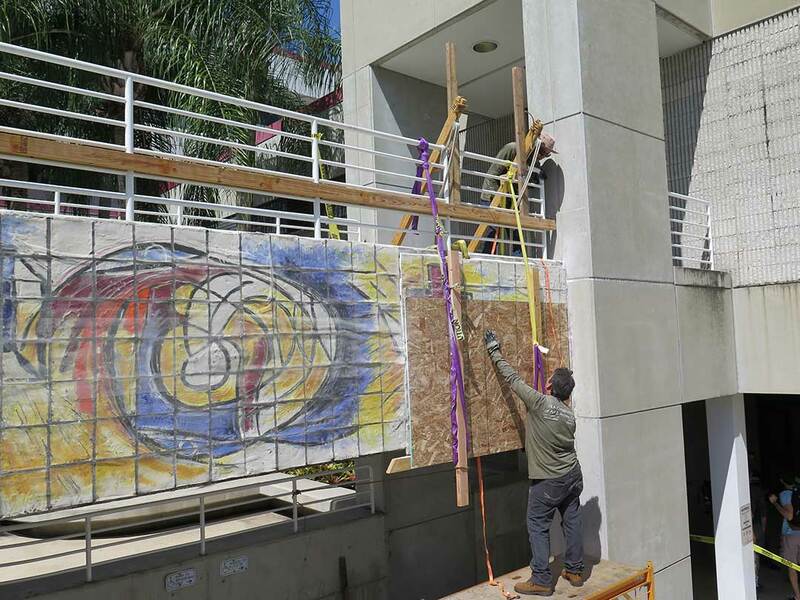 Comprised of a horizontal abstract design bifurcated by a stairwell, the mural is installed on both sides of an outdoor pedestrian bridge on a busy university campus. 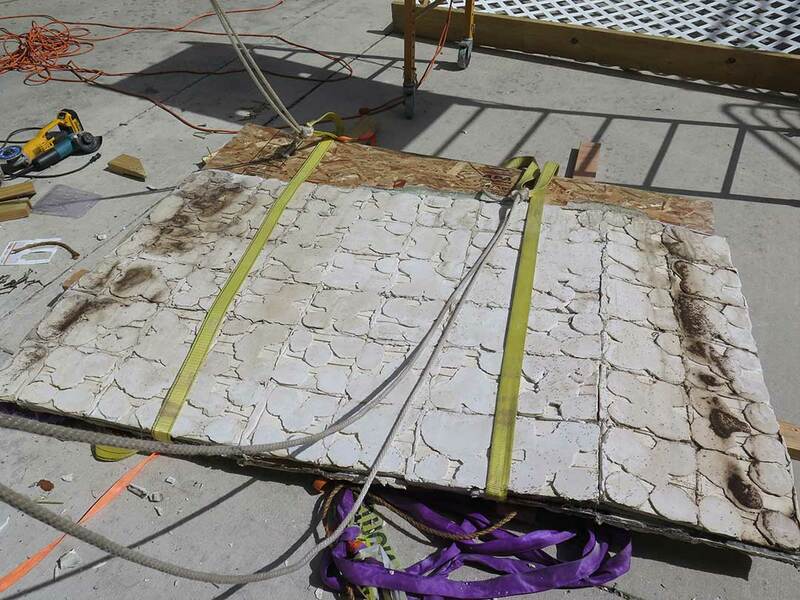 The work is fabricated of 8”x8” hand made and painted glazed ceramic tiles that are custom carved, textured, and patterned. 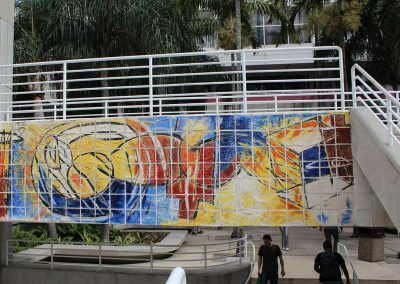 RLA was contracted to address the detachment of the mural. 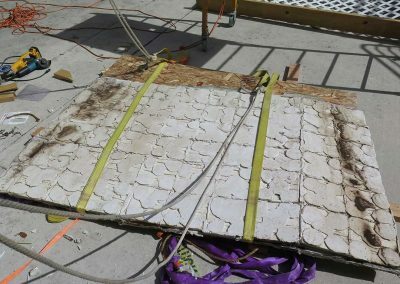 Treatment was devised to stabilize the areas of major concern first, then address all structural and surface concerns with the tiles and the wall. 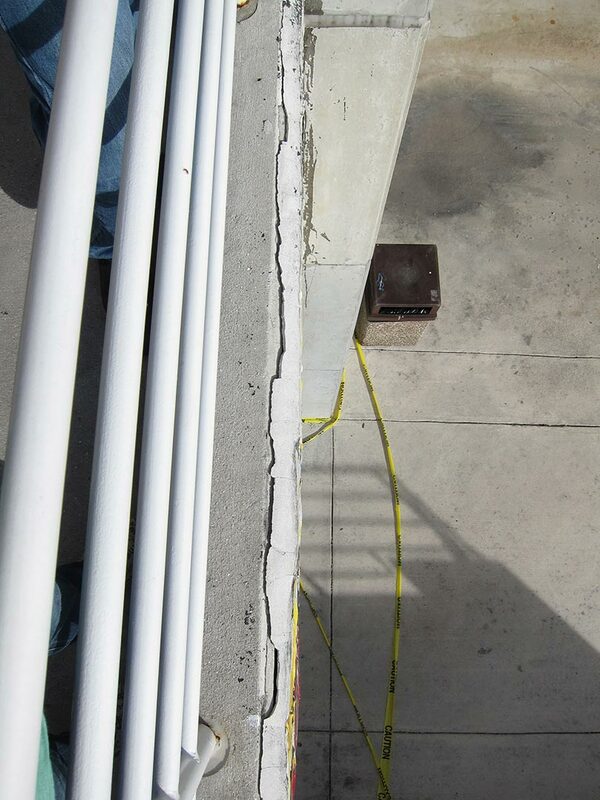 During treatment, the concrete of the bridge wall was found to be spalling. 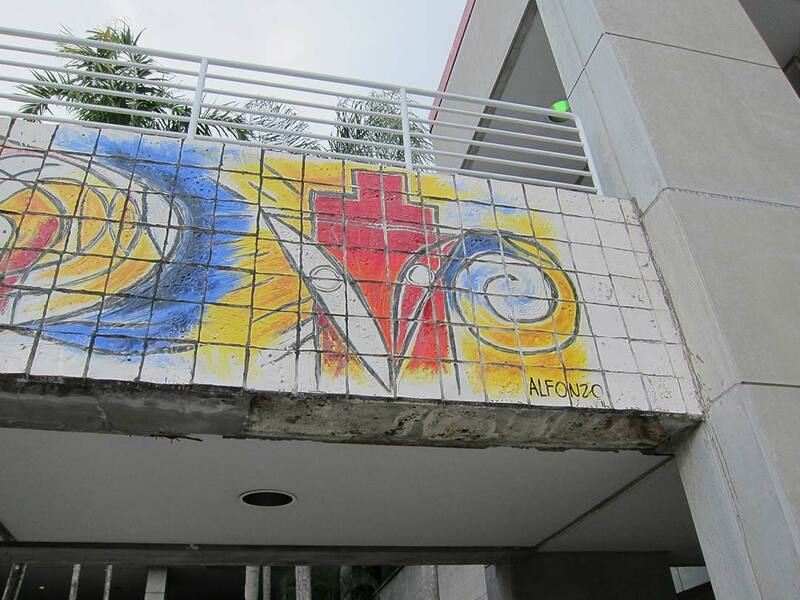 The university contracted with a General Contractor to repair the bridge. 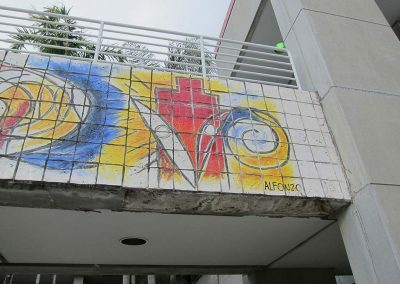 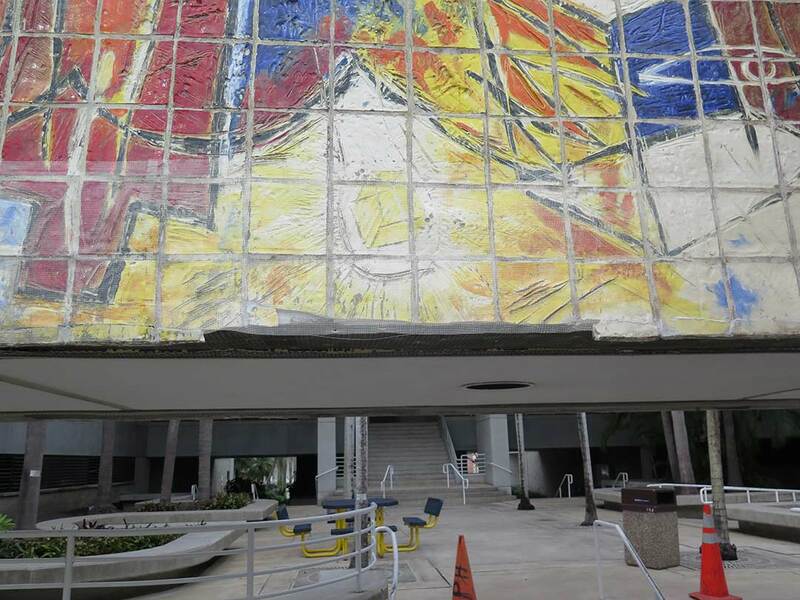 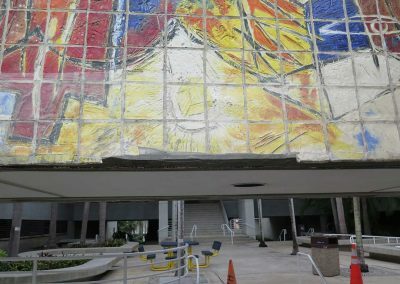 Against instructions, the GC began working without conservator supervision and unwittingly sliced through the mural’s lower 3”, causing major damage. 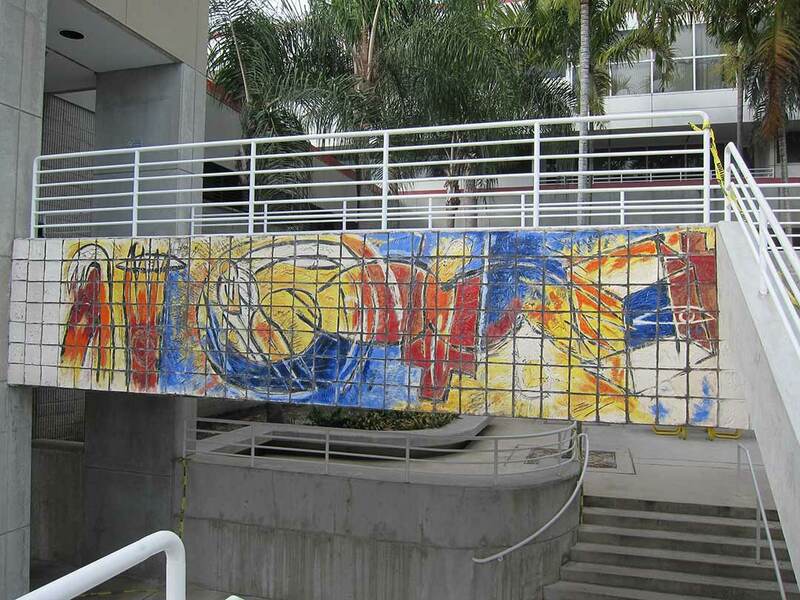 RLA had to determine how to address this situation, working with the artist’s estate and the campus art museum. 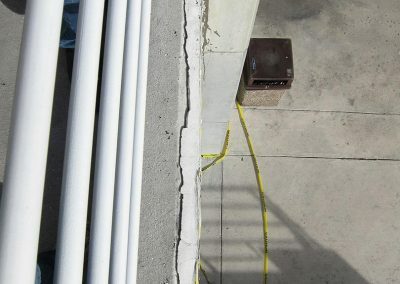 RLA prepared the damage report that the University used to obtain compensation from the negligent contractor, repaired the damaged areas, and completed the original project to address detachment. 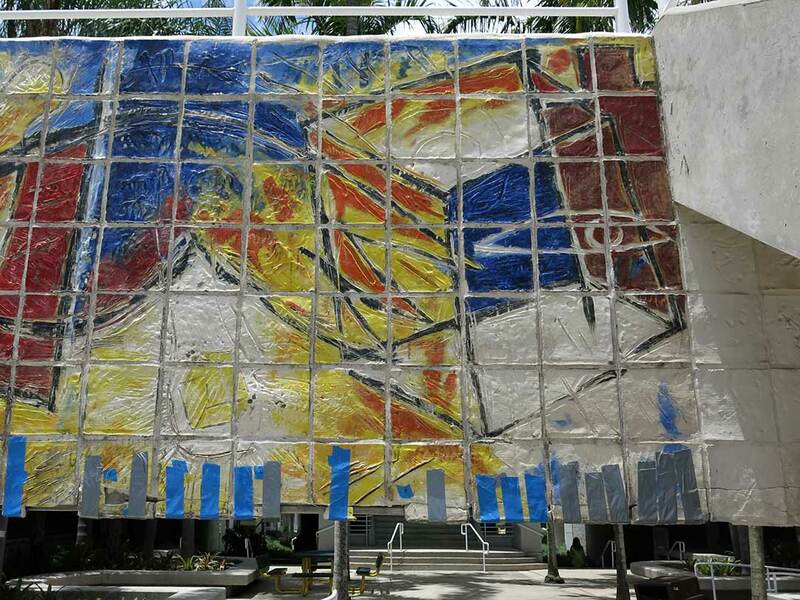 The project combined the complexities of working with a contemporary artist’s estate with those of a major construction project and damage that resulted.